This confirms what we at APN have long known to be true. The Netanyahu government has adopted numerous policies – quashing religious pluralism; attacking its critics and the very foundations of Israeli democracy; and most of all, perpetuating the occupation – that we as American Jews must work against, even as, and indeed because, we support Israel. The Mellman poll contains other notable findings. Highlights include continued opposition to President Trump by the vast majority of American Jews. 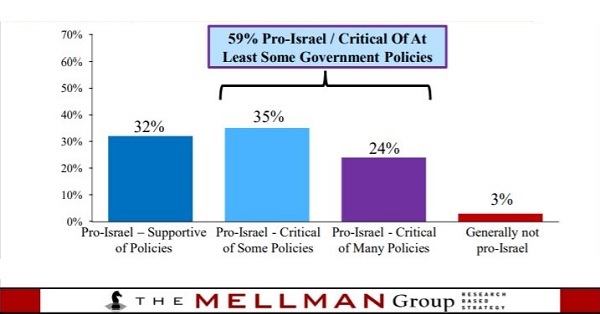 Despite his ostensibly “pro-Israel” (actually pro-Netanyahu) policies, only 26 percent plan to vote to him in 2020. 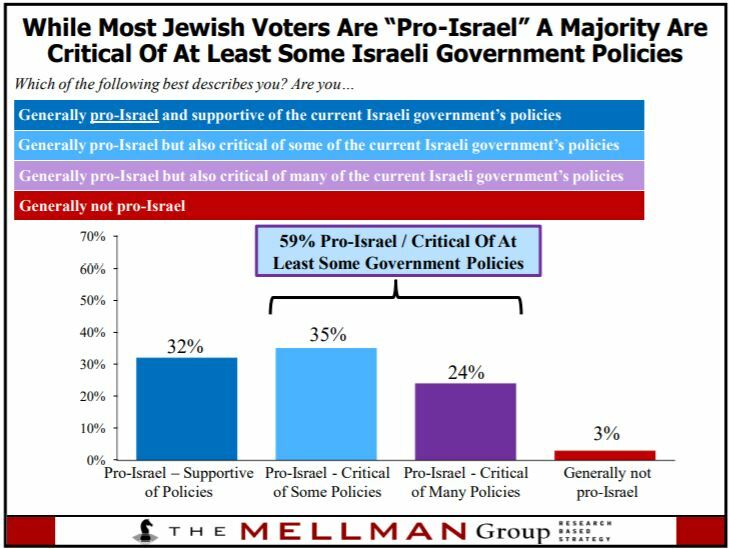 Large majorities of American Jewish voters are critical of Trump’s handling of almost every issue. Regarding his handling of US relations with the Palestinians, 62 percent disapprove, and regarding the move of the US embassy to Jerusalem, 56 percent disapprove. For the Trump administration, in which there is reportedly a “growing frustration” that Trump’s policies are not “sufficiently appreciated by large segments of the American Jewish community,” this can only be, well, frustrating.